Data by Design will examine data as a raw material. How raw is data? When does data become information or knowledge? How is data collected, communicated or visualised. Who authors data? Is the collection of data a creative design process in itself? Does data lie? Is data always biased, scewed and sampled? Round table discussion with Bruno Moser of Foster+Partners, Kyle Steinfeld of UC Berkeley, Nick Novelli of CASE and Ole Sigmund of the Technical University of Denmark. 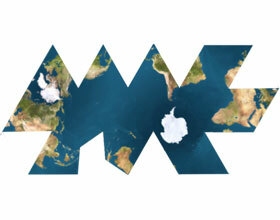 Form follows Data investigates how data is informing design. What is the role of the designer if data drives the design? Do quantifiable data sets get prioritised over more intangible qualities? Built examples and experience from practice will illustrate this discussion. Round table discussion with Kasper Guldager Jørgensen of 3xN, Armen Menendian & Joao Albuquerque of BIG - Bjarke Ingels Group, Giovanni Betti of Foster+Partners and Kat Park of SOM. Performative Data will look into the fading distinction between physical and virtual realms. Where live data flows effortless between those realities, we adapt and engage with data and design in more playful ways, exploring behaviour and fluidity not static options. Round table discussion with Daniel Piker, developer of Kangaroo, Robert Cervellione, CERVER Design Studio and Pratt Institute, Kjell Yngve Petersen of ubiCOM - interactive art and design research, Przemek Jaworski, freelance computational designer - TU Wrocław, and David Andreen of Freeform Construction. The Data Promise will analyse some of the processes that transform data into design into data as design and data start to inhabit the same information saturated ecosphere. Design as a process or process as design? Does data empower or does it take control? What draws us to this data dream? Round table discussion with Irene Gallou of Foster+Partners, Simona Maschi of CIID, Rupert Soar of Freeform Construcion and Dan Hambleton of Halcrow. Ben Van Berkel founded UNStudio, in 1988 by Ben van Berkel and Caroline Bos, is a Dutch architectural design studio. The name stands for United Network Studio, referring to the collaborative nature of the practice. UNStudio presents itself as a network of specialists in architecture, urban development and infrastructure. As a network practice, a highly flexible methodological approach has been developed which incorporates parametric designing and collaborations with leading specialists in other disciplines. Usman Haque has created responsive environments, interactive installations, digital interface devices and mass-participation performances around the world. His skills include the design and engineering of both physical spaces and the software and systems that bring them to life. He is director of Haque Design + Research. 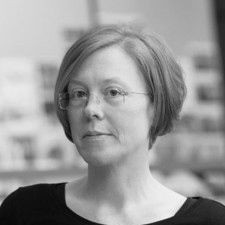 Billie Faircloth is the Research Director at KieranTimberlake, an internationally recognized architecture firm noted for its commitment to research, innovation and invention. She leads a trans-disciplinary research team which conspires to advance building design practices through material, system, process, and environment driven questions. She fosters collaboration between disciplines, trades and industries and their disparate bodies of knowledge. The firms work in low energy and high performance buildings has been a key area of technology development that Buro Happold continues to pursue across its worldwide portfolio of projects. Under his direction the firm has developed the Adaptive Building Initiative and G. Works, both related industry efforts in North America that address today’s critical low carbon and high performance building design issues..
Lisa Amini from IBM's Smarter City Lab, Dublin, Leader. The Smarter Cities Technology Centre helps cities around the world better understand, interconnect and manage their core operational systems such as transport, communication, water and energy. The highly skilled team work with city authorities, universities, small and large businesses as well as experts from IBM to research, develop and commercialise new ways of making city systems more connected, sustainable and intelligent. 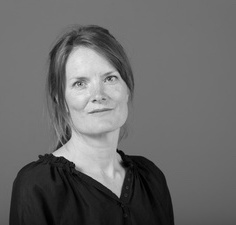 Mette Ramsgard Thomsen is an architect working with digital technologies. She explores how computational logics can lead to new spatial concepts. Mette’s work is practice lead and through projects such as Slow Furl, Strange Metabolisms, Vivisection and Sea Unsea. Her research focuses on the Digital Crafting as way of thinking material practice, computation and fabrication as part of architectural culture.